A few cars have passed through in the past 30+ years! Yes containers from one to five cars can be done. of many off-shore customers for more than 40 years. If you are looking for something particular and do not find it, be sure to visit my special interest section for additional information. 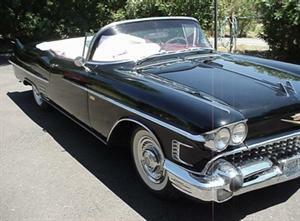 1958 Impala Convertible 348 Three Carbs. 1958 Sixty Special - These are NICE Cars! 1959 Holiday Fiberglass Boat with a 1959 35HP Johnson engine. 1953 Willys Aero. One of my favorite cars to drive. Barn Finds! One of the great finds that was made.